Albania is perhaps the most unknown country in Europe - people know it perhaps only as the single official Muslimcountry on our continent. Albania means by the way literally as much as 'the land of the white mountains'. The Albanian name Shqipëri means 'land of the eagle' which occurs in the flag of the country. Albania can be considered as a typical Balkan country, but it differs in some respects from its closest neighbors. The population is fairly homogeneous, Islam is the dominant religion and the Albanian language takes a separate position in within the Indo-European language family. Situated on the westcoast of the Adriatic Sea in the Balkans it has a very rich and diverse history; people even claiming that they are to be direct descendants of the Illyrians. Former Albania is the land that was then populated by the Greeks who were "succeeded" by the Romans in the beginning of our era. Serbs, slaves and then the Ottomans for about 500 years. 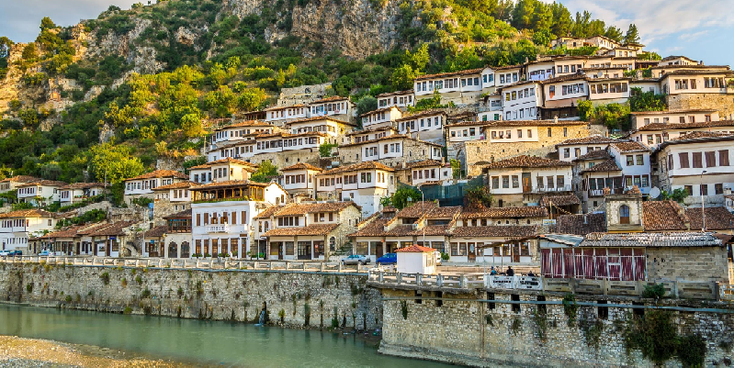 Good examples are the beautifully preserved Ottoman cities such as Berat and Gjirokasta. In the south, in Butrint you can still see the remains of antiquity. Before and during WWII, Albania was eclipsed and ruled by Fascist Italy where after the war "Enver Hoxha" took control and took the country on a communist journey that only ended in the mid-1980s with the death of the dictator. One of the most striking things you will see in the country are the thousands of single person bunkers that the old dictator builded crisscrossed in the countryside. The country has many different types of landscapes - there are the low plains and the largest cities on the coast while in the east - inland there is a choice of high rugged mountains with snow peaks and swirling rivers. 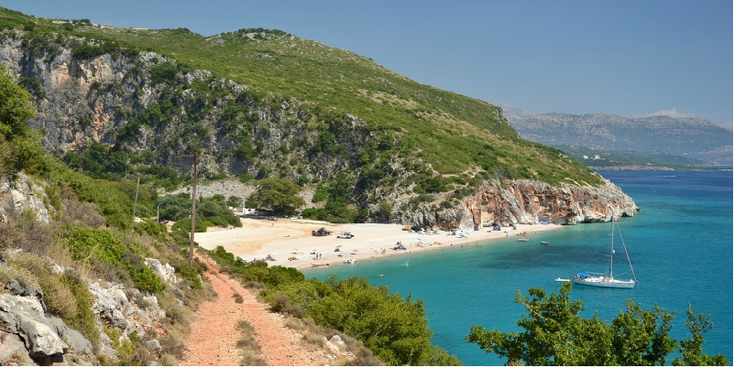 A ferry trip through the narrow valley of "Koman" is another great attraction of Albania. Another very striking thing is the helpfulness and friendliness of the population. Finally, there is the Albanian diaspora; hundreds of thousands of Albanians currently earn their living abroad. In the summer months these "rich" compatriots return and populate especially the beaches of their homeland that turn into swirling parties. Although Albania is experiencing substantial economic growth, it remains one of the poorest countries in Europe. The infrastructure is underdeveloped, education is not available to all children, and a large part of the Albanian economy is directly or indirectly linked to crime. Corruption is also a serious problem.